Ros Hommerson makes "Erica" in grey, too! 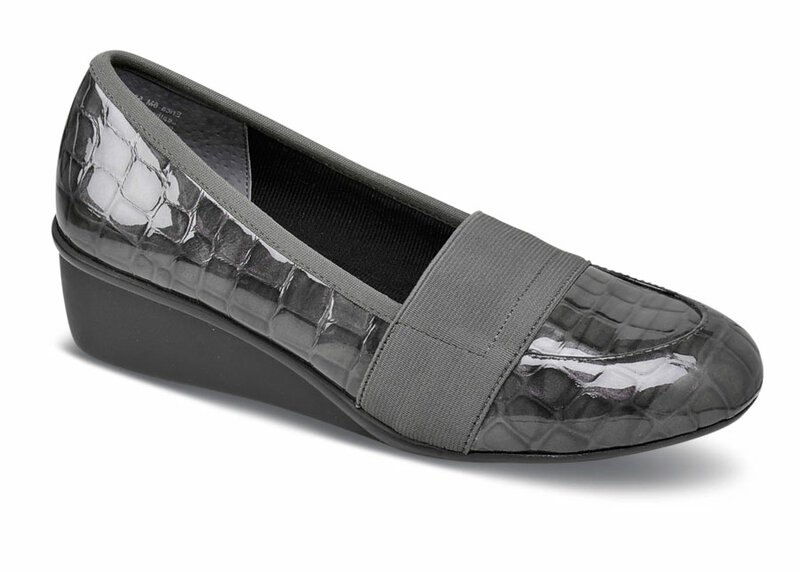 The croc print patent leather upper has a stretching elastic band across the instep for a comfortable, secure fit. Four millimeters of Memory Foam in the insole cushions the foot. 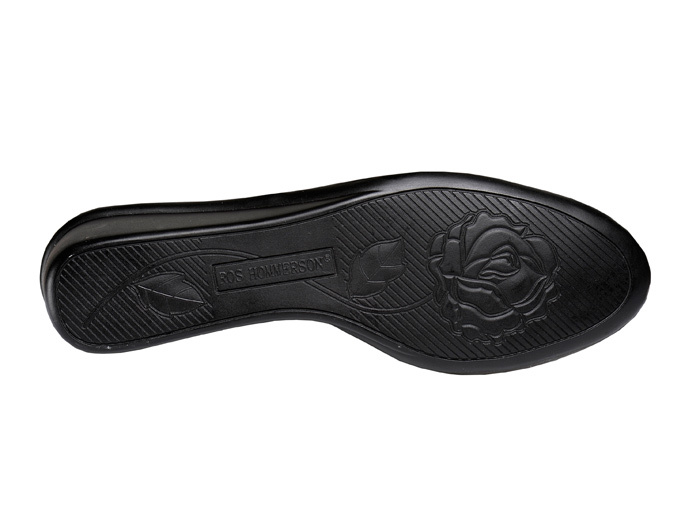 Trim, stable 1½-inch molded wedge sole. Originally $114.95. Limited stock in women's 2E width in sizes indicated.